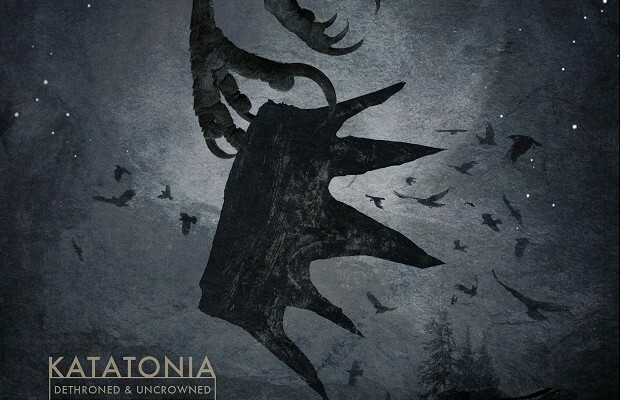 CD Review: Katatonia – Dethoned & Uncrowned – Burning Fist! Video • September 11, 2013 September 17, 2013 • Burning Fist! What do you get if you take a dark and brooding metal band, a crowd funding site and an idea to strip out all the heavy elements from an already ground-breaking album (Dead End Kings)? Nope, not the disaster you might expect! You get “Dethroned & Uncrowned”. A new and re-imagined version of “Dead End Kings” (DEK). Just to back track a little, the first surprising element here is that the album was financed by using the “Crowd Funding” website Pledge Music, and not as you would expect, via the band’s own record company. The band already had the vision to rework DEK in to an atmospheric, semi-acoustic version, which probably didnt fit in with what Peaceville are about, and so felt the best way to test the water was via this new form of financing. I have to say, it worked a treat, but in terms of popularity, as well as musically. Katatonia managed to get “Dethroned…” funded within just 4 days! Just think about that for a moment… Back in the room? Good ‘O! Incredible stuff, im sure you’ll agree. Anyway, back to the album: When you take DEK as a starting point and think about all the subtle atmospheric elements hidden underneath those beautiful detuned guitars and pounding drums, the album doesn’t “feel” as strange as you might have first expected, especially if you heard some of the “remix” work from past EP’s (IE The Longest Year). Yet It was still a very brave step for the band to take. Take one of my personal highlights of DEK – “Buildings“: In the original, there is simply no escaping the fury and pace of the track, but the “Dethroned…” version is full of thought provoking moments. Piano sections swirl past while Jonas Renkse’s stunning vocals have room to breathe, and really tell you the story of woe. “The Racing Heart” is another standout track here, which showcases an almost soundtrack-like quality, with its subtle acoustic guitar passages intertwining with strings and electronic elements, it becomes an intoxicating blend. While this release is a strange one for the more traditional metal fan, it still needs to be commended and recommended, and really should be given a chance. Posted in ReviewsTagged Katatonia, metal, ReviewBookmark the permalink.